Today, an economic car wash system works with service water, i.e. it does not use drinking water. In this way, it uses considerably less fresh water and thus saves natural resources. However, this requires an appropriate water preparation. With our super flocculant, Caramba provides you a product that you can use to purify the service water of your car wash easily and efficiently. Trust Caramba, your partner for chemical cleaning for more than 100 years with quality made in Germany. For coagulation and flocculation of service and wastewater. Manual car wash at home is prohibited in most municipalities. There is a good reason for it. Even when washing above a drain, lubricants, engine oil and washing surfactants can still seep into the soil, and hardly any car owner collects all waste water and brings it to a proper disposal outside a car wash. In contrast, operators of car wash systems have systems that can filter the so called service water and separate it from harmful substances. With Caramba’s super flocculant this is very easy. 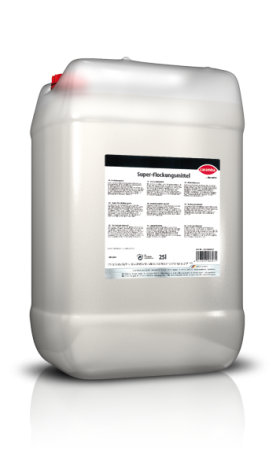 This super flocculant effectively absorbs harmful substances and develops these characteristic flakes that can be easily skimmed off or sieved in subsequent processes. In this way, service water is already filtered in the system and is thus gentle to vehicles and to the environment. 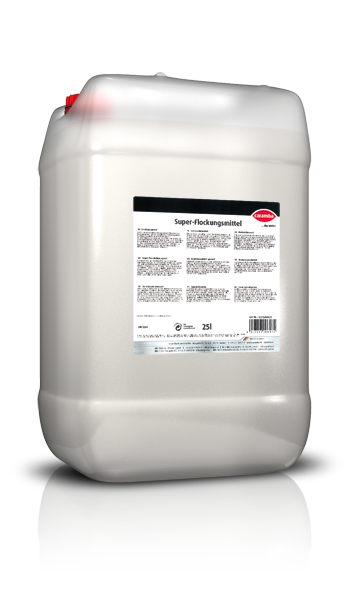 Caramba’s super flocculant is a highly concentrated product that ensures a high efficacy and profitability of your car wash business. It is a universal product for all types of water preparation systems that work in a pH range from 6.0 to 9.0. In car wash tunnels, super flocculant should already be added into the chain shaft. However, it can also be added directly into the silt chamber. As a reference value, we recommend two to six millilitres per vehicle. The service water’s quality should be considered, however, in each individual case.